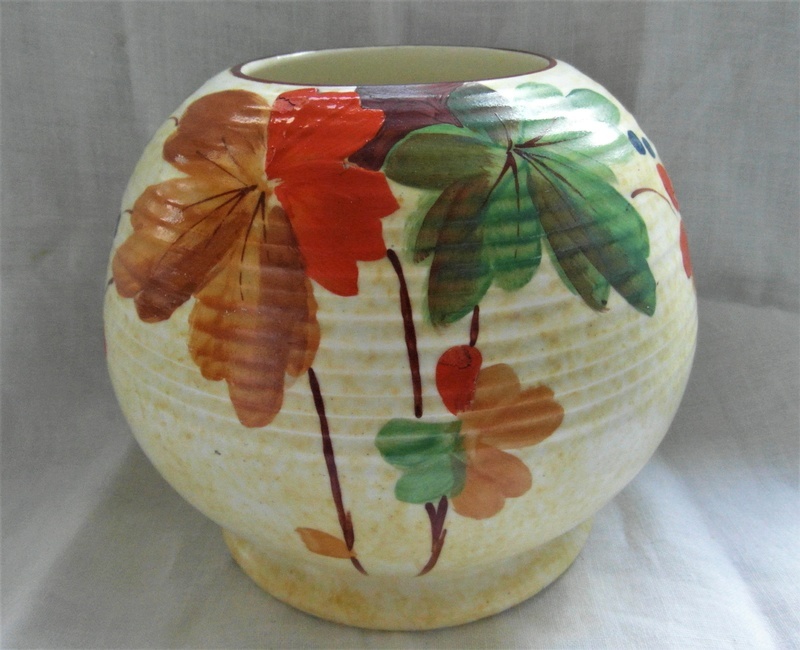 Clarice Cliff shape 370 was a globe vase which is quite sought-after by Cliffies. Autumn Leaves was a later pattern that was a sub-cliff/Wilkinson decoration which crops up on some of the later Cliff designed shapes. This is neither: It is quite fun though. The overglaze enamels are thick and the orange is very thick. The numbering on the bottom means nothing to me. Does it ring any bells out there? I think I had a Wade heath with a very similar body. That one had gold sponged highlights around the opening. 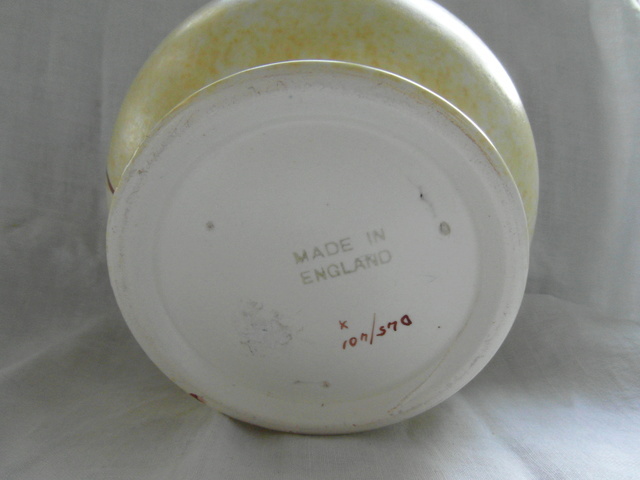 If its not a body design used across many makers (common) then Wade heath could be a good place to look for a match. From what one can judge from a picture (notice the large caveat!) the quality the clay used does not look that brilliant and the design slightly generic. Reminds me of Brenteigh pottery and the like.